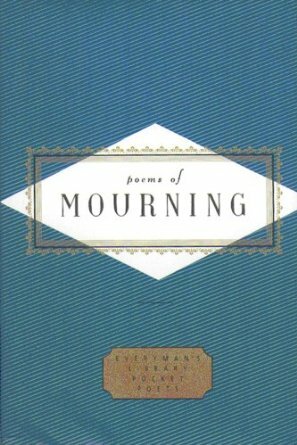 Many cultures identify mourning as the very source of poetry and music, what Elizabeth Bishop calls the art of losing. That might well be the title of this collection. Not every poem is cornered with death, but all are about loss. The poems chosen traverse a surprisingly wide range of emotions from despair to joy, resignation to anger, all articulated in language of the greatest power and beauty . All the major verse forms of mourning are represented here: epitaph, requiem and lament. Three great elergies by Milton, Whitman and Rilke are surrounded by a wide variety of shorter poems. Naturally, the pathos of death predominates, but its comedy has not been neglected, whether in the savage poems of World War I or the gentle teasing of seventeenth-century satire. Poets include: Akhmatova, Auden, Bishop, Brodsky, Browning, Carew, Cory, Cowley, Dickinson, Donne, Dryden, Dyer, Fletcher, Graves, Gurney, Hardy, Harrison, Herrick, Hopkins, Horace, King, Leopardi, Lowell, MacCaig, Mandelstam, Milosz, Philips, Propertius, Roethke, Smith, Tennyson, Dylan Thomas, Edward Thomas and Wordsworth.